Hokays,pening right? 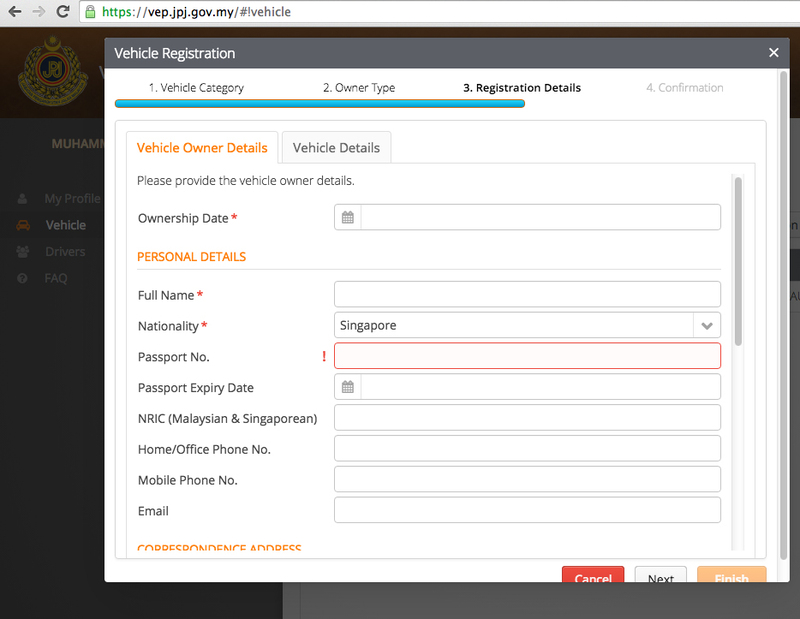 Dunno where you put your car registration log card and dunno where to get all the details right?! (YOU ALL SAME LIKE MY HUSBAND LEH!) Don’t fret, no worries ah! Just go to OneMotoring website and follow these steps. Please go and find that log in sign. 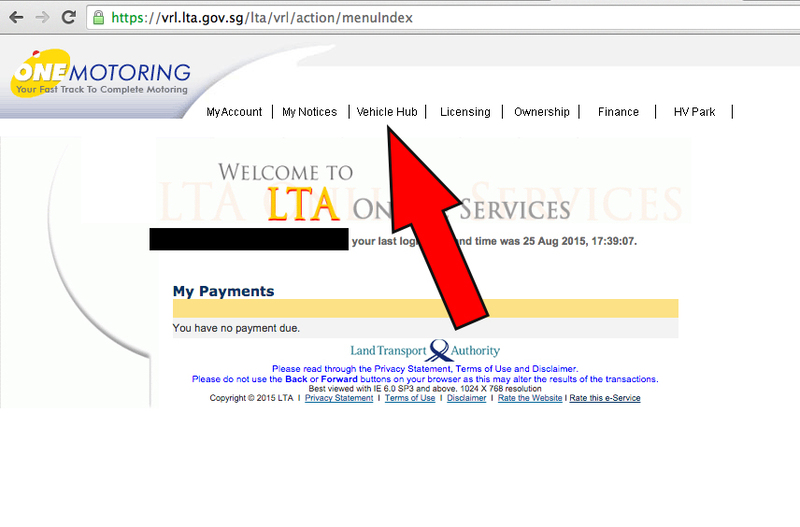 Log in with your singpass lor. Those who don’t have singpass, that one your pasal horrr. And you’ll come to this page. Log in carefully! 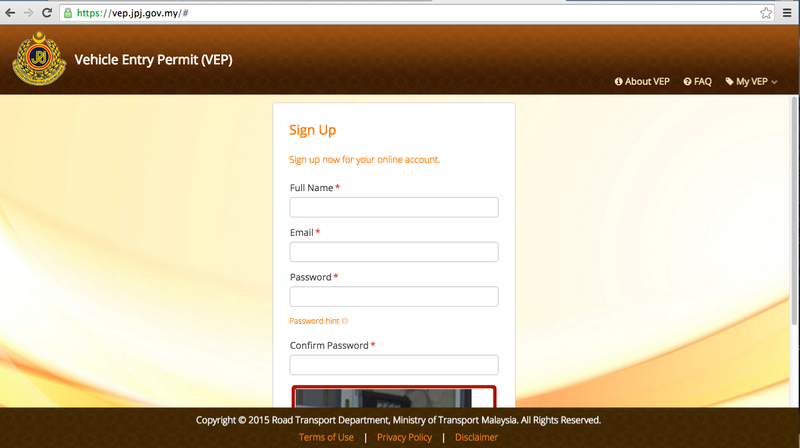 3 times mistype password, it will lock your account and you’ll need to wait a few more days to get it reset. 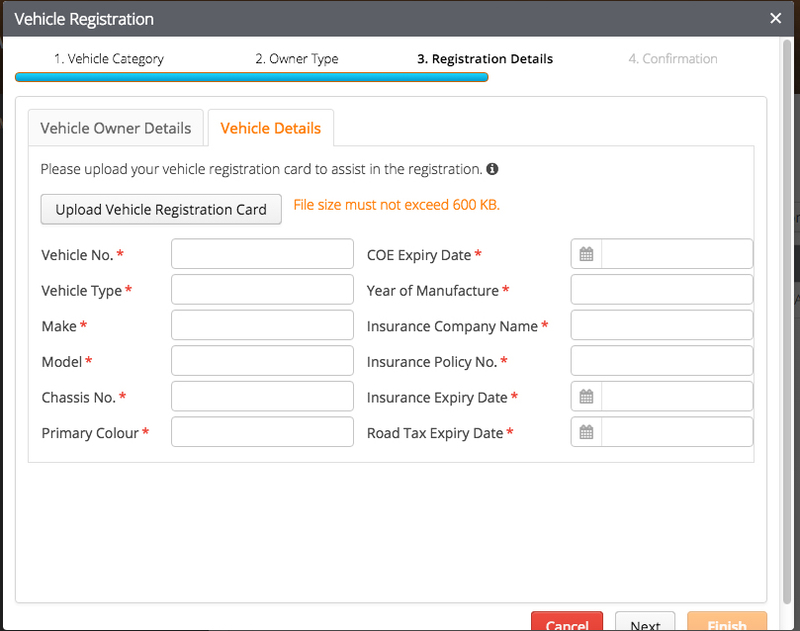 Okays, go to Vehicle Hub and then click on Enquire vehicle details.. and tadaaaa, you will come to this magic page with all your details. Screenshot, copy, print, whatever is easier for you. Pretty straightforward stuff till’ you come to this part. Ok, the personal details part should already be auto-filled. I omitted it coz’ I lazy to blur it out. And this needs your ownership date. When done, press next, and here’s come the bestest part. NOT. Pandai-pandai hor you all go refer to your veh. details screenshot and fill in. 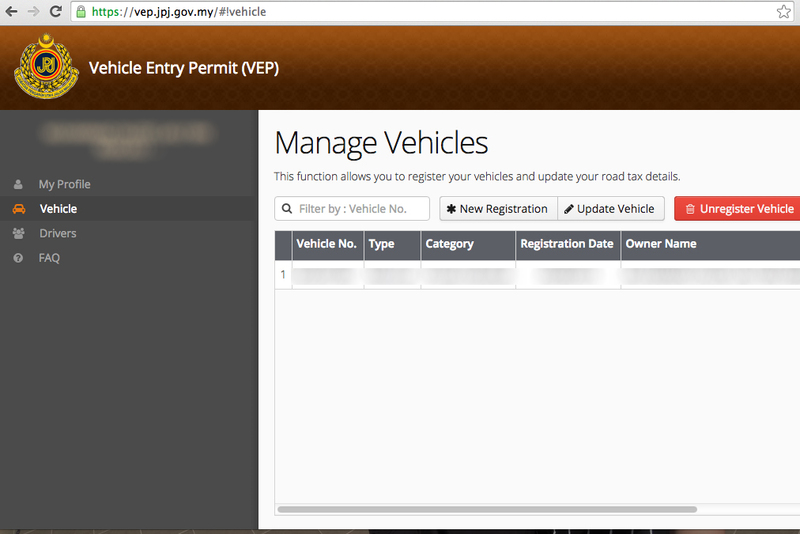 And just to add, I did not upload any vehicle registration card. Think should be ok if the details are all filled in. Ok, done not? No, not finished yet. 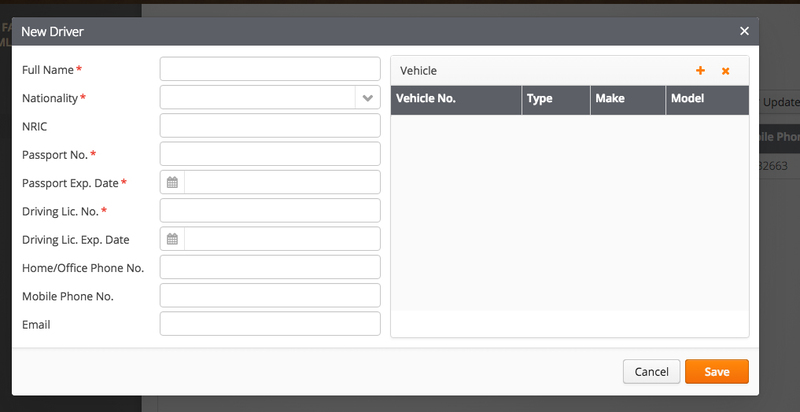 Now, go click on the Driver tab on the left bar. Go and register yourself, (passport number, passport expiry and driving license number which is basically your IC number. 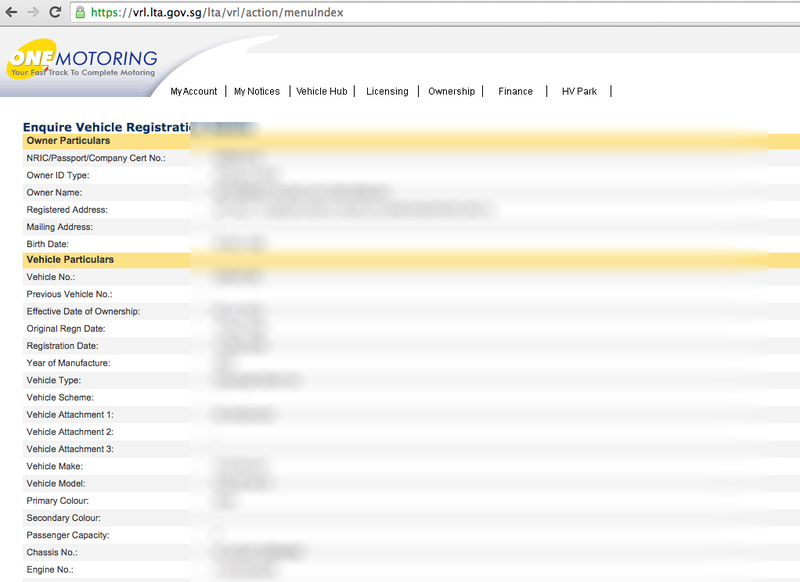 )or your wife or whoever you want to register ok? 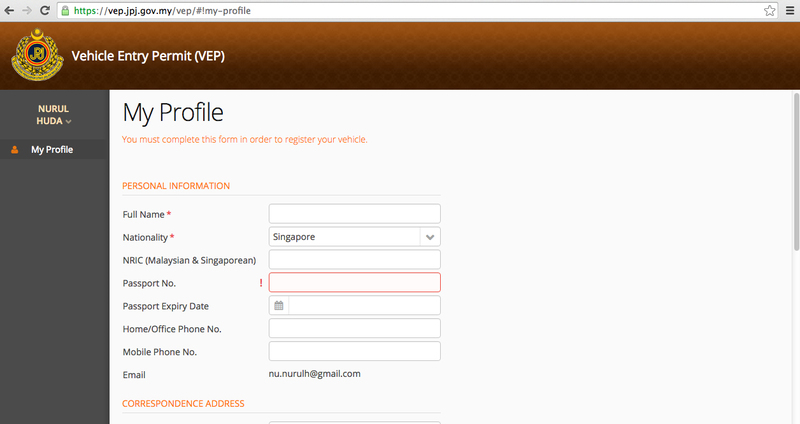 For me, I only needed to register Fauzie. 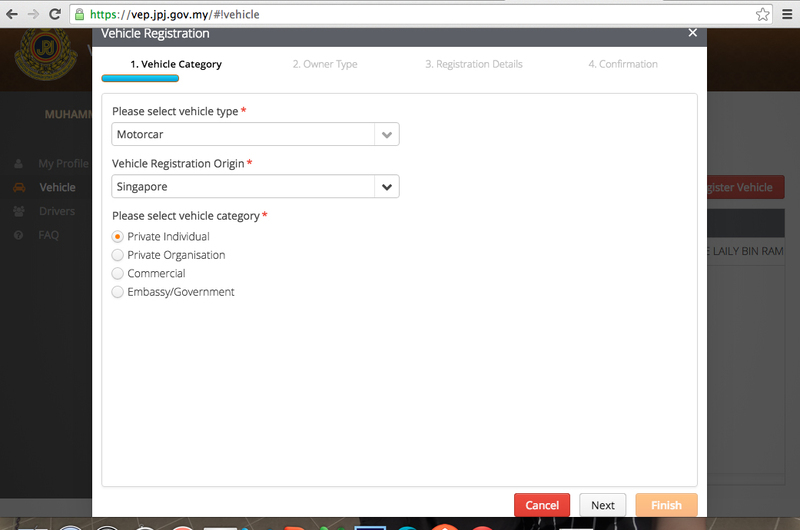 I think there are tabs for you if you need to register additional drivers. Andddddd… YOU’RE DONE! Easy right?! not really, i know. 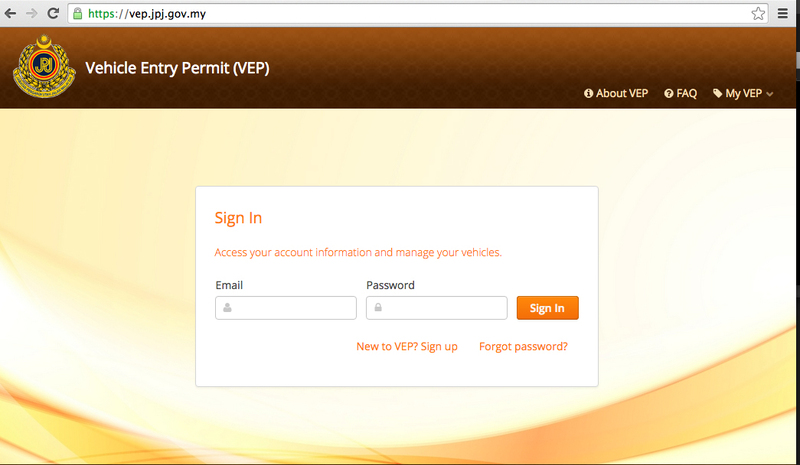 Once completed, they’ll send you an email with a confirmation slip which you’ll have to bring on the day you collect the VEP tag. (They say hor,,, details to be advised. ). So yeap, that’s that. I hope you guys find this useful lar. It’s mostly for people like my husband who needs step by step instructions and will put it off till tomorrow never comes. 😛 (YOU OWE ME $50 YO!) and I apologise if there’s any mistake along the way. I only write what I did hor.